Packing a slide-out QWERTY keyboard and what was (at the time) the most recent version of Android, the original Motorola Droid stood for everything the iPhone wasn't. But Motorola’s interest in QWERTY Android phones has slackened with each new model. The Motorola Droid 4 ($200 with a two-year contract on Verizon; price as of February 13, 2012) is the latest keyboard-toting phone in the Droid series. Unfortunately, this model lacks the excitement that the original Droid sparked: A blurry screen and a poor camera overshadow the phone's excellent keyboard and zippy processor. The Droid 4 has the same angular design as the Droid Razr. At 2.75 by 4.98 by 0.50 inches, the phone should fit comfortably in most hands and pockets. Like most Android phones, the Droid 4 comes with two cameras: a 1.3-megapixel front-facing camera, and an 8-megapixel camera on the back. Aside from the slide-out full-QWERTY keyboard, buttons on the Droid 4 are limited to a volume rocker and a power button. Though I found the QWERTY keyboard extremely comfortable to use, I disliked the loose power button and the overly stiff volume rocker. The sliding mechanism, which initially felt rigid, seemed to improve as I used the phone. You can remove the back cover on the Droid 4, with the aid of an included plastic tool. If you lose the tool (which is small), you can use a paperclip to remove the back. But once you get the cover off, you won't find much that you can do. The battery is not user-removable, and the SIM and MicroSD card slots can be difficult to get to. As I mentioned, the QWERTY keyboard was a joy to use. Even with my pudgy thumbs, I could accurately and quickly type out long email and text messages. In contrast to the keys on the Droid 3, the keys on the Droid 4 have a slight bump on their surface and they're spaced out a tad more. This makes typing a lot more comfortable, though I still prefer the keyboard on the T-Mobile MyTouch Slide 4G. The Droid 4 ships with a 4-inch, 960-by-540 (qHD) display. Like the ones on the Droid 3 and the Droid Bionic, it's a PenTile display--and it has many of the same problems that we encountered on earlier PenTile-equipped Motorola phones. Individual pixels were visible to the naked eye, we noted a considerable amount of ghosting during scrolling, and visuals overall were not very sharp. In short, it's disappointing to see Motorola go back to using PenTile screens after phones like the Razr and the Atrix 2 had abandoned them in favor of cleaner-looking LCD displays. 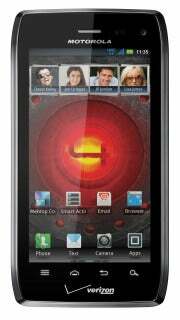 The Droid 4 comes with a 1.2-GHz dual-core TI OMAP processor--the same processor found in the Droid Razr and the Droid Razr Maxx. Overall, the phone was extremely responsive to my input and handled everything I threw its way. Even graphics-intensive games, such as Dead Space and Osmos, ran without any stuttering or slowdowns. I got excellent reception on the phone here in San Francisco, with the Droid 4 reporting between 4 and 5 bars of Verizon LTE service in most places. The phone didn't do an especially good job of filtering out background noise during my test call, but the person I was talking to reported being able to hear me loud and clear. Call quality was even on my end, and the earpiece level was loud enough at its default setting that I could easily hear whomever I was speaking to at the time. Using the FCC-approved Ookla Speed Test app, I obtained download speeds of 11.29 megabits per second and upload speeds of 12.63 mbps while on LTE. These numbers are similar to what we've seen on other Verizon LTE phones, though your speeds may vary depending on where you live. We're still awaiting the results of our official PCWorld labs battery test, but in my informal hands-on use, I got a full day of activity out of the Droid 4 while checking my email, browsing the Web, playing a level or two on Dead Space, and fielding calls. Running Android 2.3.5 (Gingerbread) along with Motorola's custom overlay, the Droid 4 will seem familiar to anyone who has used a Motorola Android phone in the past three months. 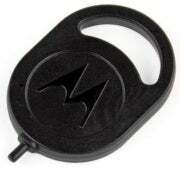 This version of Motorola's user interface is the same one that ships on the Droid Razr and the Droid Razr Maxx. Like them, the Droid 4 provides access to useful software such as MotoCast (which works with a desktop client of the same name, and gives you access to the media on your computer while on the go) and Smart Actions (which lets you program your phone to automate tasks such as silencing your ringer when you get to work or turning off GPS while you're at home). The Droid 4 has its fair share of bloatware, too. Apps like Let's Golf 2 and Slacker come preinstalled, and you can't remove them without rooting the phone first. Thankfully you can hide individual apps so that they don't show up in your app drawer; but it's still annoying to anyone who doesn't want them on the phone in the first place. With its 4-inch display and dual-core processor, the Droid 4 is great for playing games and HD movies. Games, as I mentioned earlier, run smoothly with few dips in frame-rate. The 720p video file I played on the Droid 4 worked fine, but it didn't look all that great on the problematic PenTile screen. The Droid 4's LTE connectivity makes it great for streaming music and video, but keep an eye on your data usage so you don't accidentally exceed your allotted limit. The Droid 4's built-in speakers sometimes sound a bit tinny. I recommend using your own headphones whenever possible. The Droid 4 doesn't ship with a MicroSD card, but it does supply 8GB of onboard storage that you can use for apps, music, and movies. Sad to say, the camera on the Droid 4 does not impress. Images captured outdoors looked well lit, but they had oversaturated colors and weren't particularly sharp. Pictures taken indoors had a slight graininess to them and made skin tones appear gray and sickly. The front-facing camera was slightly better, though you are better off using it for video calling with apps like Skype or Tango. The Droid 4 captures videos in 720p by default, but you can adjust its settings to record in 1080p. The Droid 4 did an admirable job of picking up audio, but footage recorded in 720p didn't match the best-quality videos we've seen from a mobile device. Instead, videos looked slightly fuzzy, and indoor shots again had a grayish tint. Recording in 1080p solved some of these problems, but it also produced an undesirable jelly-like effect whenever I moved the phone. The Droid 4 is well suited for outdoor videos and photos, but you won't want to use it to commemorate any important moments. The Droid 4 has one of the best keyboards I've ever used on a mobile phone. It delivered excellent performance in games, and its call quality was even and clear. But the Droid 4's blurry display may deter some potential buyers. Why Motorola decided to revert to using PenTile displays is beyond me, but I hope that this is the last time we encounter one on a higher-end Motorola product. If you purchased a Droid 3 back in July of last year, the Droid 4 will feel like an incremental upgrade. The inclusion of LTE is nice, but the poor camera and the inability to remove the battery mean that you won't be missing much if you stick with the Droid 3. Verizon customers who can't stand typing on a touchscreen should love the Droid 4. For everyone else, though, a Droid Razr Maxx provides a similar experience with much better battery life, a better display, and a slimmer profile.